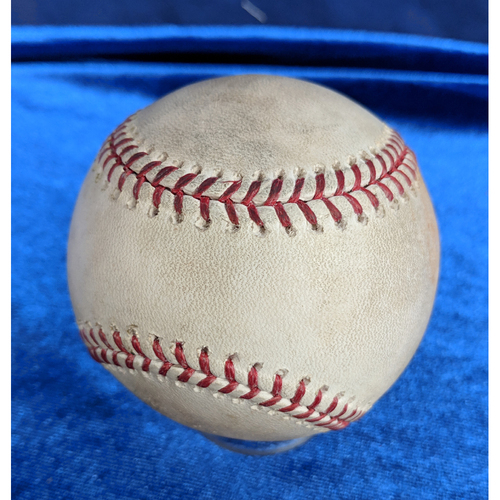 This ball was used during the April 18th 2018 game at Angel Stadium against the Boston Red Sox. This ball was pitched by Rick Porcello to Mike Trout in the bottom of the 3rd inning would hit a sharp ground ball single to Jackie Bradley Jr. This hit would also advance Ian Kinsler to 2nd Base.